Desi Smith/Staff Photo. 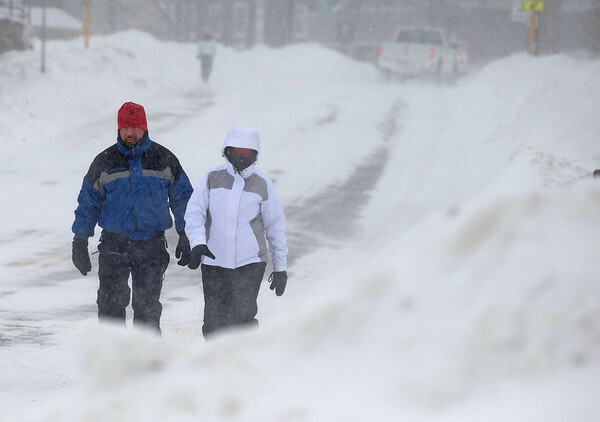 Rich and Michele Houston of Essex make their way through the streets during Tuesday's blizzard. The couple wanted to get out for a walk.